I’ll have some thoughts later on the Chicago Cubs and our continued wait for something special to happen in the postseason. For now, I remain speechless. How does a sports fan cope? Focus on the good, that being the Michigan State Spartans winning a game they were outplayed on a 4th and 1 defensive stop. The remnants of John L Smith are officially gone. Thank you Adam Decker, a helmet sticker is much deserved. A backbone is a terrible thing to waste. It seems only fitting that I’d return to my own personal blogging days on the afternoon following what could ultimately become one of my most disappointing days as a sports fan. 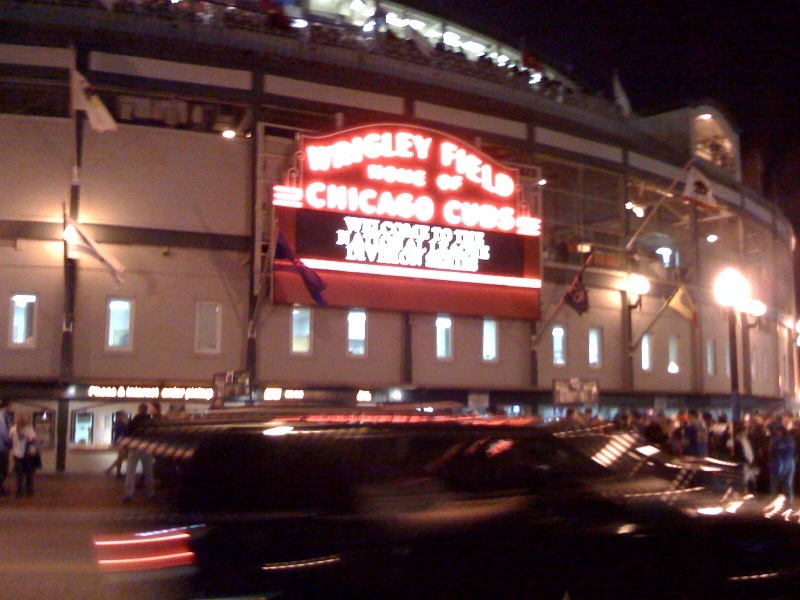 Game 2 of the 2008 NLDS vs the Los Angeles Dodgers was supposed to be a fun night in Wrigleyville. Surely the 2008 Chicago Cubs were above past choke jobs. Right? Viewing the 2nd inning comedy of errors across the street at Bernie’s, I couldn’t help but reflect upon my first visits to Wrigley Field as a young child. I wasn’t concerned with wins or losses. I just loved baseball, loved Wrigley and loved the Cubs. Living through the Will Clark home run in 1989, the miserable years between then and 1998, and of course, Steve Bartman, I figured that I’d been subjected to enough abuse that 2008 would finally deliver and sports fans ultimate prize. It’s not over yet, but as the Ryan Theriot, Mark DeRosa, Aramis Ramirez and gold-glover Derrek Lee each took turns committed inexcusable errors in Game 2, it’s almost time to once again wait until next year. Truth is, all sports fans wait until next year… it’s just Cubs fans who LIVE for next year.